The Industrial Rail 3000 series stock car is loosely based on traditional 40' stock cars operated on many of America's railroads. 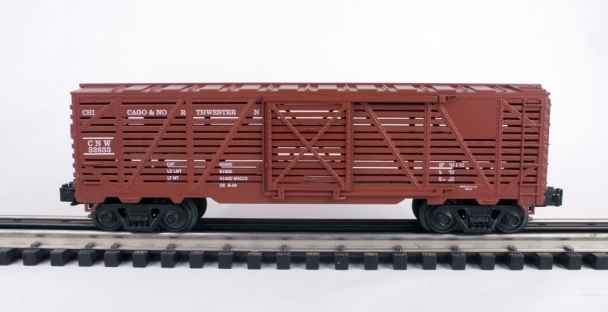 The 3000 series model shares many of its body details with the 1000 series box cars, 1100 series double door boxcars, and 2000 series reefers. The roofs, car ends and sills are identical on all four body styles. Stock cars, also known as Cattle Cars, are a specialized type of boxcar with slatted sides that allow for air space between to permit a free circulation of air for livestock. From the mid 1800s until the 1950s, stock cars were a common sight on American railroads, changes in modern operations made these cars obsolete as transporters of livestock.